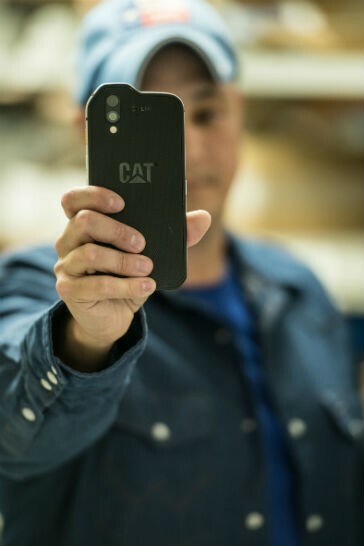 Cat Phones has announced the launch of its new flagship device, the Cat S61. It is the upgrade to the Cat S60 with enhanced FLIR thermal imaging capability, built-in laser assisted distance measuring, and an indoor air quality sensor. The Cat S61 is the most advanced tool yet to help get the job done. The Cat S61 boasts an integrated FLIR thermal imaging camera with enhanced software for greater image contrast, expanded temperature range to 400 degrees Celsius, and an upgrade from VGA to High-Definition detail from the visible camera providing unmatched image optimization using FLIR's MSX technology. The MyFlir application has also been upgraded on the Cat S61. New, sought-after features including live streaming of thermal imaging, on-device Tips and Tricks and a Community Forum help users get the most out of the S61's thermal imaging capabilities. The Cat S61 also includes an indoor air quality sensor from Sensirion to alert users to high levels of indoor air pollutants (Volatile Organic Compounds or VOCs) in their working environment. Common sources of VOC's include paints, solvents, carpets, furniture and cleaning products, all common in the environments typical to Cat phone users. The Cat S61 will keep watch over indoor air quality levels and inform users when an unhealthy environment is detected, allowing them to make timely decisions such as opening a window to improve ventilation or taking a break. The sensor can also provide humidity and current temperature readings. The Cat S61 has a large 5.2-inch FHD screen, protected by Gorilla Glass 5 and optimised for outdoor use. It also boasts leading rugged credentials. It is IP68 dustproof and waterproof up to 3m for 1 hour. It conforms to MIL Spec 810G, and it is built to survive repeated drop-tests onto concrete from 1.8m. All these features are important to Cat phone customers who often use their phones to read and format plans and invoices while out on the job. "We know that 60 percent of Cat S60 customers use the integrated thermal camera at least once per week and the temperature and resolution improvements found in the new Cat S61 will open up thermal imaging to many more users and use cases. Packing in even more genuinely useful tools of the trade means there's simply no other smartphone out there that can do everything the S61 can. We are incredibly proud of it." Frank Pennisi, President of the FLIR Industrial Business Unit, said: "We are excited to support Bullitt Group through our Thermal by FLIR partner program and integrate our micro thermal imaging camera on the next generation Cat S61. The Cat S60 proved to be an incredible vehicle for introducing more people to the benefits thermal imaging and we look forward to expanding that further with the Cat S61."